6.625" x .50" x .045" with .25" rounded corners. Our Metal Cuff Bracelet - Thin are a great gift to give your players or even your loved ones. 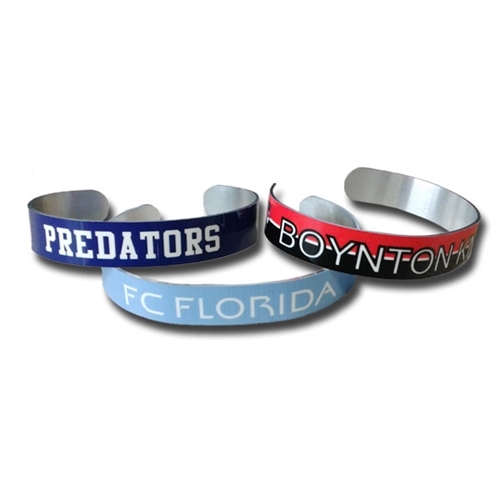 These bracelets will not stain, or rust under any condition and the best thing about them is that we can print any design you wish on them!